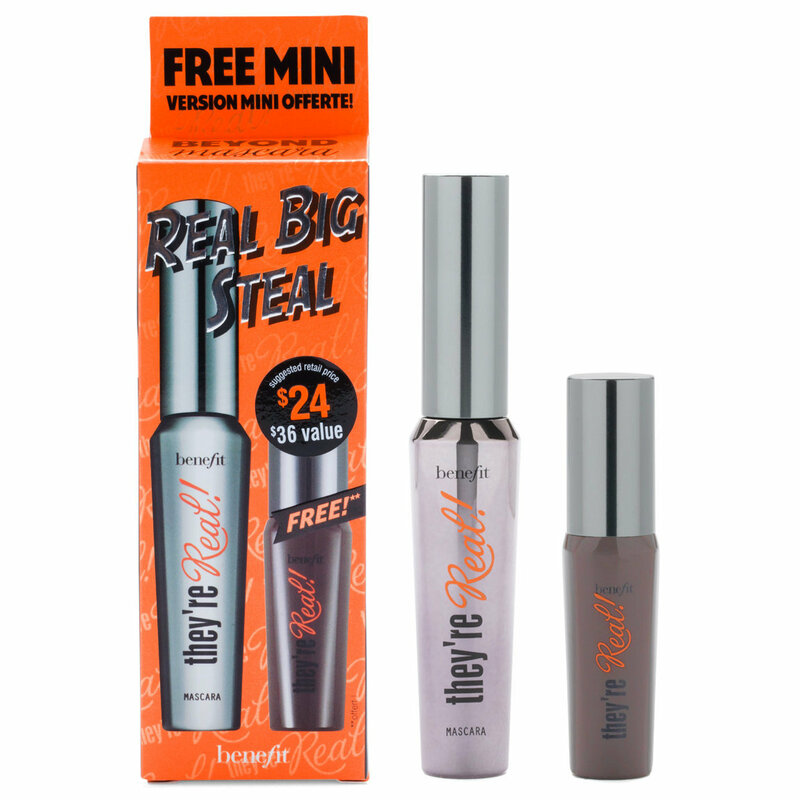 A mascara value duo with a full-size & FREE mini They're Real! lengthening mascara. Get long lashes beyond belief at a real big steal! This value set includes Benefit’s bestselling they’re real! lengthening mascara in full-size with a FREE mini! This lengthening mascara’s jet black, long-wearing formula is smudge-proof & budge-proof, and the custom-dome brush reveals lashes you never knew you had! Position wand horizontally & wiggle from side to side, coating lashes from base to tip, to achieve maximum volume & length. Hold the wand vertically & stroke upwards to separate, lift & define lashes. Layer generously to add length & drama.